I’ve made the statement that I am not the biggest fan of free-verse poetry. It’s not that I do not like it so much as I do not like so much of it. It seems today it is the ubiquitous form of poetry and it should not be so. Free-Verse is advanced poetry, and not intended for the novice poet. It is poetry without the rules of poetry but that does not mean any old thing thrown on a page is poetry, far from it. Writing without structure is prose, not poetry, even free-verse. Often, people have a problem knowing just where the line between poetry and prose lives. Like in Supreme Court Justice Potter Stewart’s famous quote 1964 quote[i], I will not attempt to full define it (prose), but I know it when I see it. Basically, anything that is not poetry is prose in one form or another. For example, slogans, essays, news articles, and short stories are examples of prose. Free-verse poetry, like all poetry, requires a flow and sinew binding words and feeling. Though technically it is an example of blank-verse, it shows well the qualities required for free-verse that repeats end words. Not to mention it is one of my all-time favorite poems. The lines repeat talking about the cloth, then about light, and ending on the dreams. This binds the work. Moreover, each line sort of “sings” when read aloud, tying the lines internally. I sailed across the oceans like Ahab did before. It was no beast from the depths that drove me ’round Perdition’s Flame. my last breath of hate so spat. I joined the ancient mariner on his ship of lonely times. It was no solitary bird, drifting on currents high, which focused all my shame. my own folly chained my neck. I battled fish like the old man, just a speck upon the sea. It was no noble cause or sustenance for which I fought and landed game. my vanity noshed on their souls. offering myself to recklessness, too clever for sing-song sirens to claim. my vessel wrecked upon the shore. My tale’s been told ten-thousand times by poets greater than me. No moral was upheld or redemption did I find as life’s innocence did wane. Take heed, my friend, this ten-thousand and one. Each stanza by itself is prose, but tied together, they give each other form and balance rising the whole to qualify as free-verse poetry. It shows the elusiveness of a true definition. In the end, free-verse poetry requires the poet to understand form and meter at a level that goes beyond the mere use of form and meter. It requires intament knowledge of poetic form to construct a poem that suggests a structure but is not directly supported by it. While sometimes confused with proses, free-verse poetry employs this sophisticated structures in ways not always understood or even perceived. In the end, prose may be nice to read but if it lacks even the suggestion of form, it is not free-verse. Each poet must decide what form of poetry they wish to create and there are no hard and fast rules, I tend to write one free-verse for every ten formal poems. I live in the formal rhyme and meter of classic poetry most of the time, it keeps me sharp for when I step beyond its bounds. [i] Stweart, Potter. “Jacobellis v. Ohio.” Cornell University Law School. United States Supreme Court, 22 June 1964. Web. 07 Apr. 2012. <http://www.law.cornell.edu/supct/html/historics/USSC_CR_0378_0184_ZC1.html>. Sonnets are one of the harder forms of poetry to master. To make matters even more muddled, there are many forms of sonnets. In the United States, when we think of sonnets, it is the English, otherwise known as the Shakespearean, form we think of. Other popular sonnet styles are Italian, Occitan, Spenserian, Modern, and many others. I like Shakespearean most, but when I write them, I modify the style a bit. A classic Shakespearean sonnet uses three quatrains and a couplet with a rhyme scheme of ABAB CDCD EFEF GG and a meter in the iambic pentameter style. To put that into English, each stanza rhymes every other line and no two stanzas use the same rhyming words as other stanzas. Further, each line is ten syllables long in most cases with a natural strong stress on the even syllables. This is where the word foot comes in. Remember, the line is from his play and in his plays the lines do not always contain the right number of syllables. Such is the case with the example, but it does illustrate extremely well the proper use of iambic meter. The syllable group is called a foot. Some groups have two syllables, and some have three or more. In the Shakespearean Sonnet’s case, there are ten syllables making up five iambic pairs or five feet. The word for five feet in a line is pentameter and when the two work together it is called iambic pentameter. You can see Uncle Bill’s (Shakespeare is every poet’s good ol’ Uncle Bill) use of the rhyme scheme and meter. We must give deference to the changes in language since then that makes the rhymes seem forced in some cases. Another writing device used in most sonnet forms is the “turn,” or volta, as poets like to call it. By the way, volta means time or turn in Italian. This turn is a distinct change in the thought and flow of the poem. While it is not a spelled out rule, many poets place the turn in the third quatrain (stanza) and return from the change in the ending couplet. Shakespeare placed his volta at the couplet and so do I. It really is up to the poet. are we so vain to set life’s worth? Sonnets are harder to write, that is certain. Once you do, you will understand the fun of it. The rules make the game fun, but like with any game you must practice before you become good at it. Write well, write often! [i] “Hamlet.” – Act 3, Scene 1 by William Shakespeare. Web. 01 Apr. 2012. 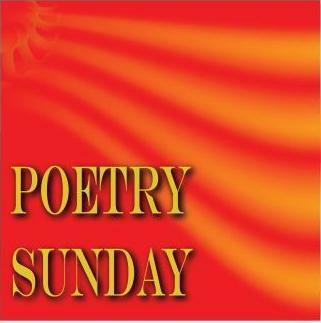 I think I am going to start a series here in my blog and call it “Poetry Sunday.” On Sunday’s, rather than a typical blog post, I am going to post a poem or two. Some will be old, some new but comments are welcome on either. I will comment just a bit about the poems, either what I was thinking or to point out something of interest about its style. It would be wonderful if other poets would join in and comment with examples of their works or at least links to it. it’s how we know the world. with adjectives – life is knurled. to give our lines the fill. and index things like time. for cooks of written art. in poems for us to see? This poem won the 2008 Willard R Espy award for light verse, a nice honor for me to say the least. The poem uses an aBcB rhyme in each stanza with no formal meter. blowing and rolling about the shore. its moving about the wild sea oat. the Wind takes another from the shore. it finds the oats and forms a dune. as Wind moves sand to receive its fate. as I walk within the sunrise hue. by blowing around each grain of sand. to become a part of your larger plan. This poem uses 2 rhymed couplets in each stanza making it an AABB scheme. Notice how the form of rhyme changes the feel of the poem. In the first example, the aBcB gives the poem a whimsical feel as it is read. While the more formal AABB couplets of the second example gives the end of each couple a natural hard stop. In a sense, it forces the reader to pause and reflect. Each shows how rhyme scheme selection plays a huge role in the overall feel of a poem. Reading poetry should never leave you with sort of a “wow, that was one technically perfect poem,” no, it is more about the emotions and feeling you are left with as the reader. These tools and devices come into play for the poet to implant emotion and feeling into a poem. At the end of it all, if you enjoyed the poem, the technical merits of it mean nothing.